Vault Productions press release (February 9, 2014): Tom ‘Sid’ DiMaggio, founder & editor of the Vault Productions crew, was named 2013 Best Social Media in the annual 51 Awards presented by JEGS. 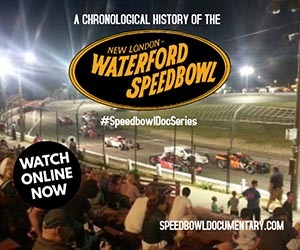 The nationwide vote is conducted by Speed51.com and includes several nominees in various categories of racing both on & off the track. Initially not on the ballot, DiMaggio was added the following day after “an overwhelming response from fans” to include him, according to Speed51.com’s Facebook page. 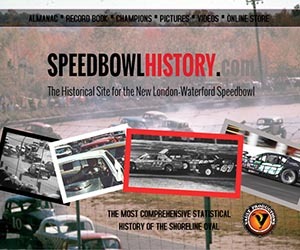 Other winners from the northeastern U.S. included Waterford Speedbowl for Best Website, Stafford Motor Speedway for Best Weekly Venue, Russ Dowd of Thompson Speedway for Best Announcer, Keith Rocco as Short Track Bad Boy, NASCAR Whelen Modified Tour as Best Touring Series & NWMT Champion Ryan Preece as Best Personality. “We thank all our fans for getting us on the ballot & voting every day” said DiMaggio. 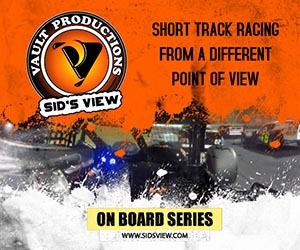 “I’m thrilled for my crew who work their butts off behind the scenes to keep our Sid’s View web series new & exciting each year.” The 5th season of Sid’s View debuts in early April after the Waterford Speedbowl’s season-opening Blast Off event on March 29-30.